Specially crafted for the experienced paddler, looking for manoeuvrability & speed in a board. 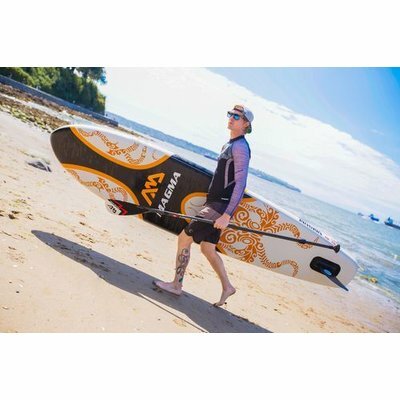 This is an ideal board for intermediate and experienced paddlers, and the narrow profile design makes it the ultimate performance board with excellent speed. 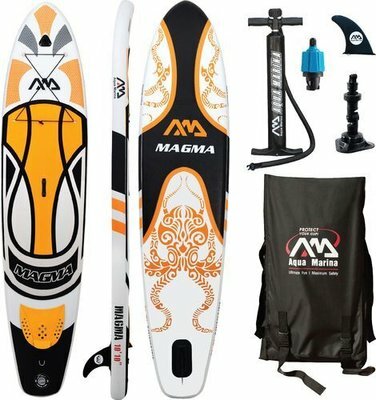 This is a great board to grow into as you gain SUPing experience, and with its higher weight capacity it can handle some extra cargo or the family dog. 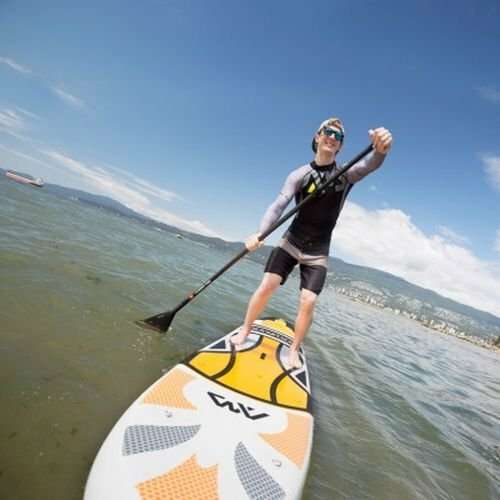 STAND OUT Features include the eye-catching design, GoPro camera mount kit and raised kick pad. Super Tough Dual Stringer technology. 1000 Denier centre stringer. Double Rail construction with 1000 Denier outer reinforced PVC rail band. Premium Drop Stitch technology, provides a high tensile strength and a rigid core. 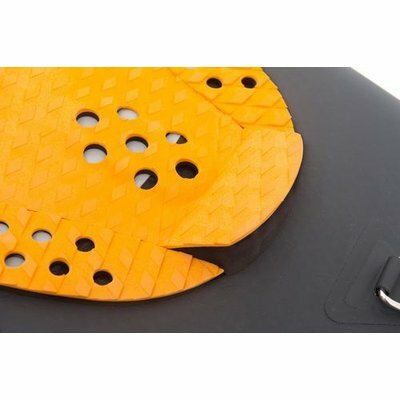 Integrated EVA foam Kick Pad with 50mm rolled tail kick and 10mm centre arch. EVA Deck footpad 4mm Honeycomb Groove. Easy slidein removable centre fin. Stainless Steel Drings for leash and cargo straps. Optimum air pressure of 15psi.